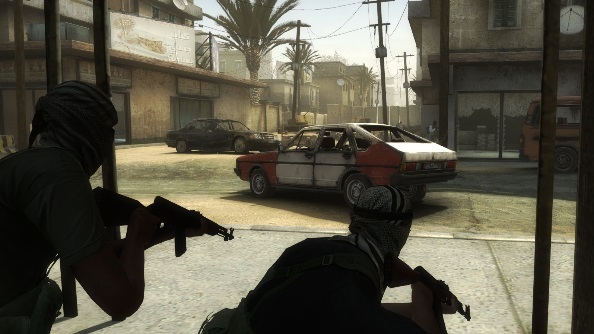 Rainbow Six Siege may be just weeks away, but the Tom Clancy legacy lives on through another game: Insurgency. It’s super-hard and demands keen tactical play, and also gets updated for free. A chunky new care package has been added that brings with it a whole new mode and three new weapons, alongside a variety of impressive improvements. Looking to unleash bullet hell? Try one of the best FPS games on PC. Conquer is a new cooperative mode that works in a nonlinear fashion, with teams working to find and destroy enemy weapons caches. The more caches destroyed, the weaker the enemy becomes. Helping you out with your terrorist problems are three new shooters: the Galil assault rifle, the Smith & Wesson Model 10 revolver, and the Sterling sub-machine gun. They add some new versatile options to an already highly varied arsenal. A new map captures more of the Afghan-style scenery, with will surely be less pretty by the time players have riddled it with bullets and RPG rounds. Other new additions in the update include the option to play Hunt Mode on all day maps, and Outpost on all night maps. There’s new mechanics for grenade throwing, and underslung grenade launchers now have their own sights. Spectator mode has had a bit of a rethink, as have the AI enemies who are now a little sharper. You can also run all this on Linux now, thanks to full support. Oh, and there’s pots too, should you wish to smash up the wares of traders who have done nothing to scorn you. The Insurgency Conquer update is available now, and will automatically download and apply on Steam.